Part of the AVANOS* Oral Care Q4, Q2, and Assisted Care Kit, the Toothbrush Pack is intended to be used with a 4-hour, 2-hour oral care protocol or for non-vented, oral care dependent patients. The component pack includes a suction toothbrush, an applicator swab, 0.07 oz. (2g) of mouth moisturizer, and 0.50 fl. oz. (14ml) 0.05% Antiplaque solution (CPC). 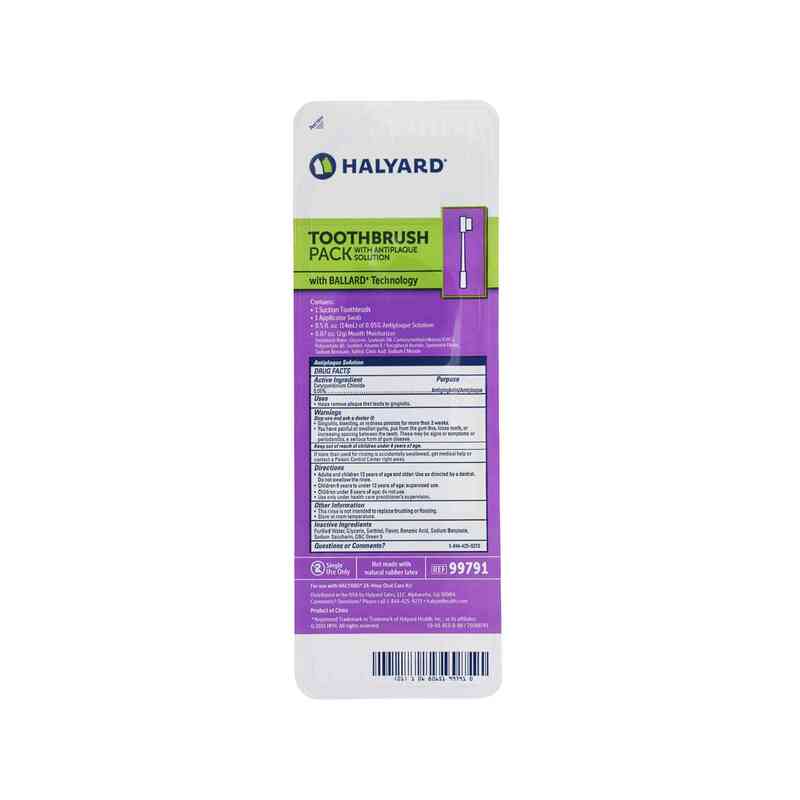 Part of the BALLARD* Oral Care Q4, Q2, and Assisted Care Kit, the Toothbrush Pack is intended to be used with a 4-hour, 2-hour oral care protocol or for non-vented, oral care dependent patients. It is also available for purchase independently, for use as needed. Water based mouth moisturizer — Minimizes opaque residue on patient’s mouth.